The fashions of Roberto Cavalli charm immediately: they give an emotion. Cavalli is considered the designer of the star system. His motto is "a dress can change your life", and the many celebrities and friends the world over who identify with his multifaceted style can testify. 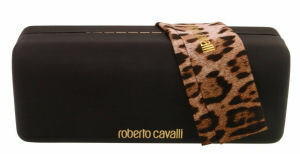 Big stars such as Madonna, Sharon Stone, Drew Berrymore, Demi Moore, Carherine Zeta-Jones, Jennifer Lopez, Gwyneth Paltrow, Beyoncè Knowles, Charlize Theron, Victoria Beckham and Kate Hudson are all ambassadors, today, of the Cavalli way of life. 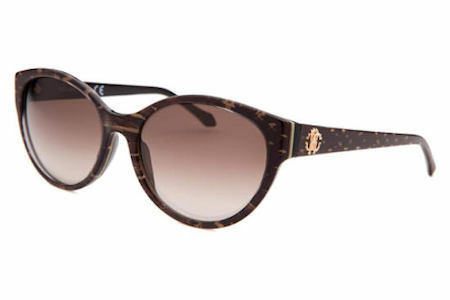 Our Roberto Cavalli sunglasses are brand new and guaranteed to be 100% authentic! Shipping and handling is $15.00, within the 48 continental United States. An additional fee of $20.00 will apply for delivery to Hawaii, Alaska, Puerto Rico and Canada. We will be unable to accommodate deliveries to any other international destinations. Shipping & Handling: $15 within the contiguous United States. If shipping to Alaska, Hawaii, Puerto Rico, or Canada $20 additional.